The following video [at the bottom of this post] should be a primer to journalists everywhere on how to ask a follow-up question. Then how to ask follow-ups to the follow-up. James Rosen of the Fox News Channel did the best job of questioning a public official with, first a great initial question, and then the perfect follow-ups that I have ever seen in my lifetime done by any reporter. 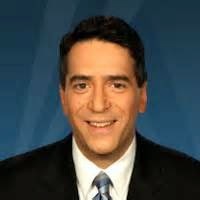 In the following video you will see Fox News correspondent James Rosen questioning State Department spokesman Jen Psaki on Tuesday afternoon June 17, about why the capture of Ahmed abu Khattalah, a suspect in the 9-11-2012 Benghazi terrorist attack which resulted in the death of four Americans, took so long. You almost have to admire Jen Psaki how she tried the best she could to totally avoid answering James' questions, but this was a mismatch of epic proportions. As I said this should be a primer for everyone in the main stream media to see how real questioning with the proper follow-ups is done, but until their guy, Barack Obama, is out of the White House, most of the reporters from the main stream media don't really give a damn about the proper way to ask follow-up questions because they know the answer to those questions could hurt their guy. When a Republican gets back in the White House, then that will be the time the main stream media will promote James Rosen's follow-up questioning as required watching. James Rosen is unique in today's world of journalism. A reporter who is actually out seeking to uncover the truth about the scandals of this administration, and not out to hide the truth to protect this administration, like do so many of his colleagues from the main stream media. James Rosen is not alone in seeking the truth, but in the words of Bum Phillips, it doesn't take long to call the role. Bill O'Reilly says he is watching out for the folks [sic]. I think I can say accurately that James Rosen really is seeking the truth for "the folks". And I for one, thank him for that. Bravo, James Rosen! I want to thank Faster First News on You Tube video for this video.